This great new book is chock-full of signs and suggested learning activities geared for the early childhood classroom. 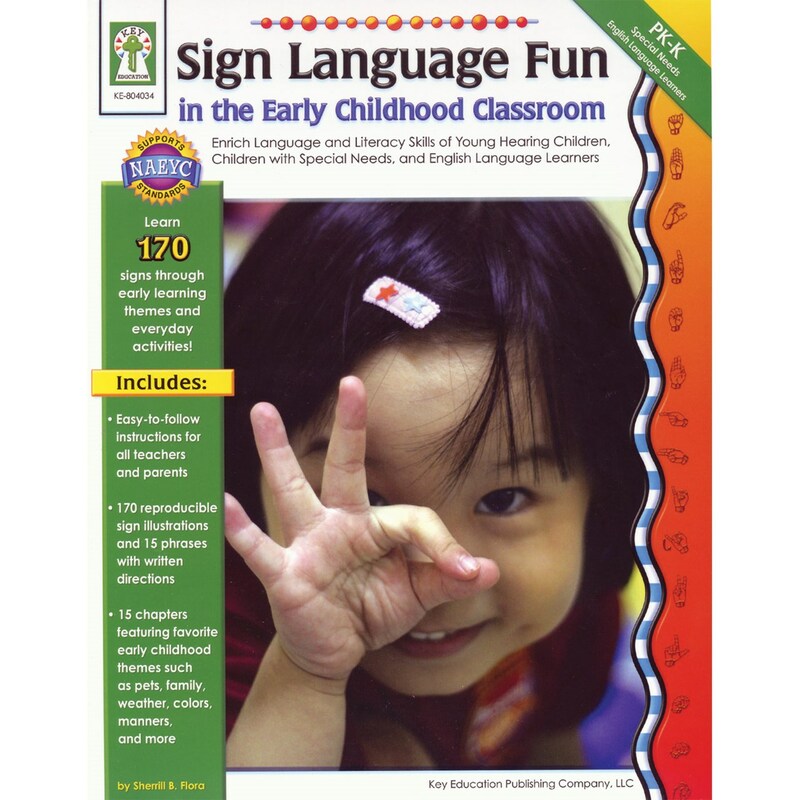 Children will learn 170 signs through themes and activities. Sign cards can be easily reproduced for individual reinforcement and practice. Also ideal for home use. Paperback book measures 8 ½ X 11, 64 pages.